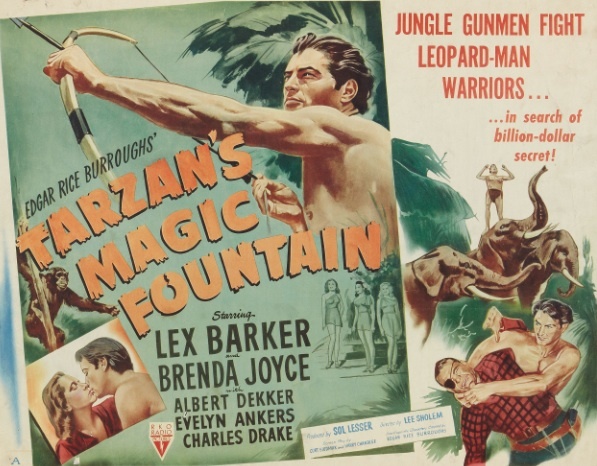 I don’t think Lex Barker brought much to the role of Tarzan. With the exception of his last role in Tarzan and the Mermaids where he’d lost most of his physique’s definition, Johnny Weissmuller had more of a physical presence than Barker, along with the smooth command you referenced. Just when we think Brenda Joyce couldn’t be any more attractive, with her wholesome blond, domesticated look, and leggy physique, she shows up in this film a bit shaplier. Definitely no complaints there. One thing that bothered me is that RKO restored the passion between Tarzan and Jane that was absent in the later Weissmuller films. Perhaps it was the 13 year age difference between Weissmuller and Joyce that precipitated this.